French artists and studio mates, Ludo and Rero, were recently visiting Colombia during the ArtBo Artfair week in Bogota. 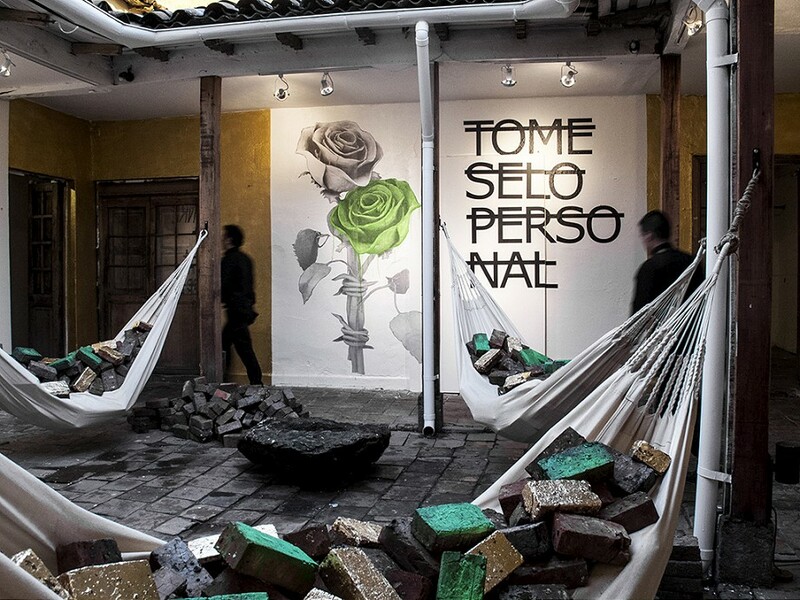 They were invited to create a collaborative installation at a 500 year old historical site where they incorporated their work into a colonial patio. Inspired by Mexican author of Toltec spiritualist and neoshamanistic texts, Don Miguel Ruiz, and the famous the Toltec guides to personal freedom known as The Four Agreements, the work was separated into four independent sections. 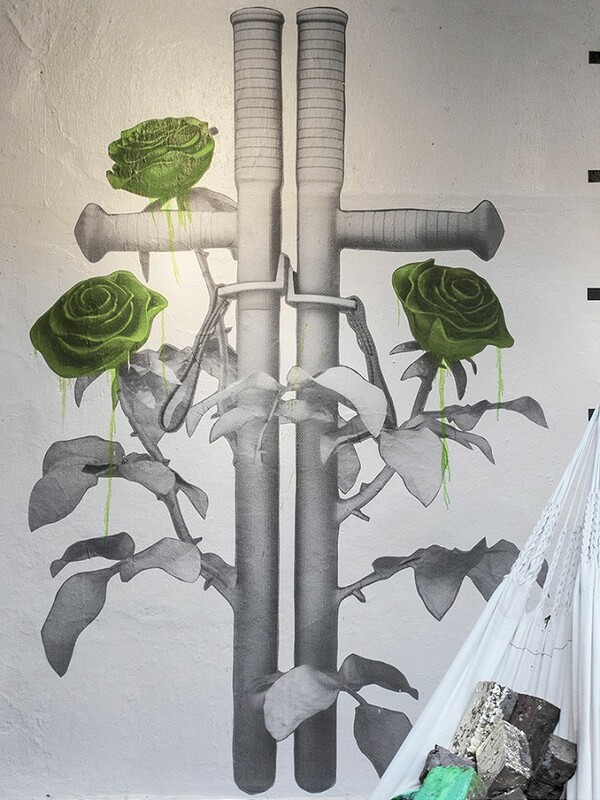 Following the architecture of the location, each wall represents a reflection or reinterpretation of the aforementioned beliefs by combining works by each artist along with elements of the city. Presented in opposite ways verbally and as an oxymoron visually, the work symbolizes duality. 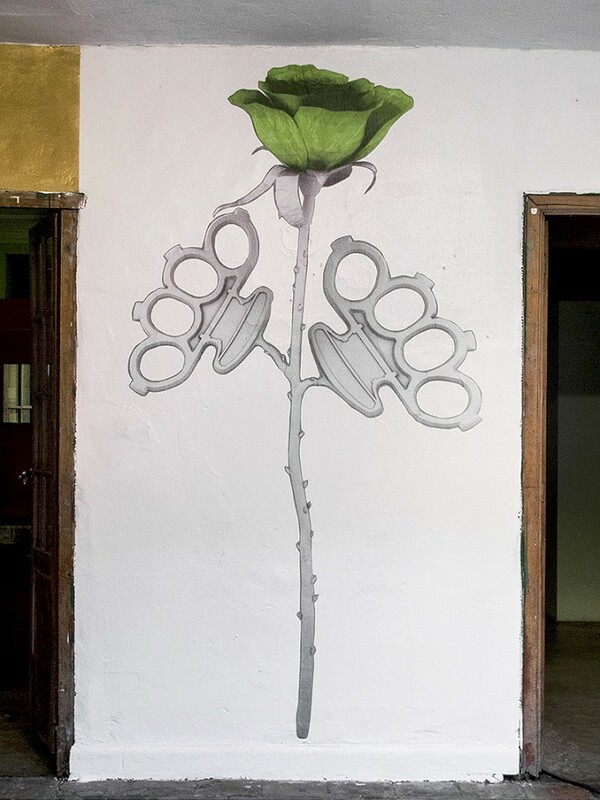 As a recurring theme in Ludo’s work, duality in this case exemplifies contrast between violence and the poetry of roses, which is very strong in Colombia. 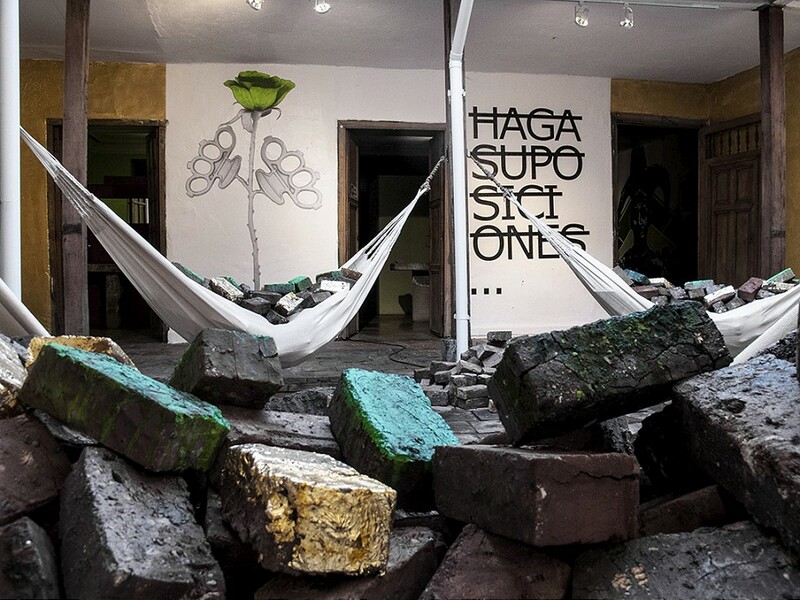 The bricks represent the El Dorado myth, which was emphasized by placing them in a hammock as a symbol of leisure and exploitation. 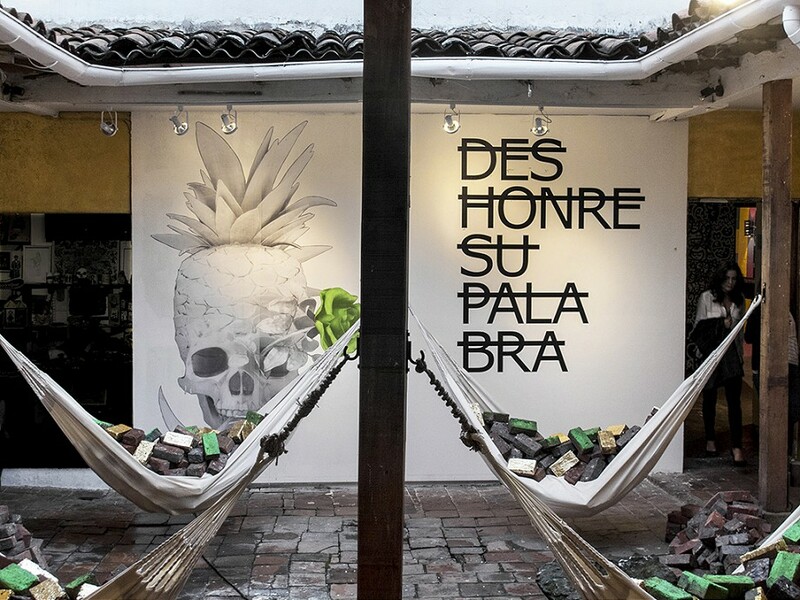 Categories: Installation, Sculpture, Street & Urban Art. 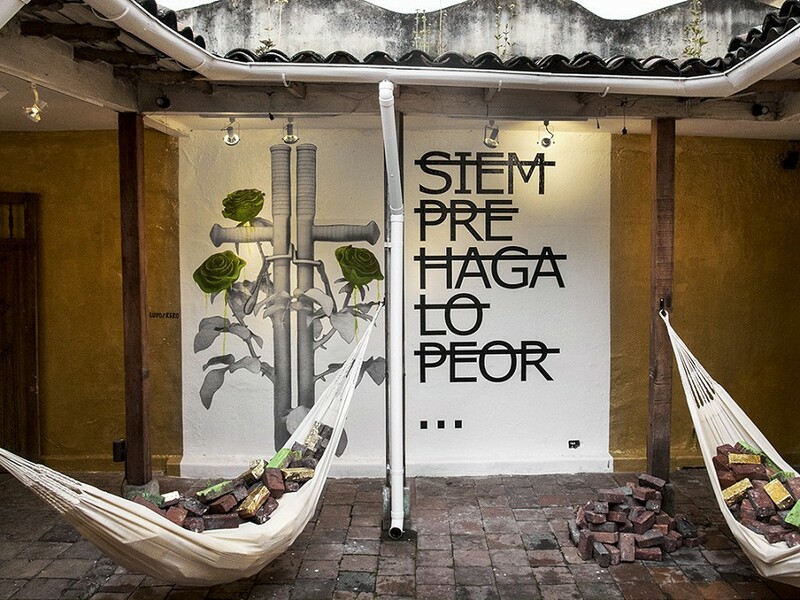 Tags: Bogota, Colombia, Installation, LUDO, RERO, Sculpture, Street & Urban Art.